What's your Y story? Please share how the Y has helped you or your family today! Jada, 16, is an inspiring young woman whose life revolves around family and basketball. She learned the game of basketball at the early age of four. As her love for the game grew, she became very dedicated with aspirations to play at the High School and Collegiate level. At the age of 10, Jada was faced with a major obstacle, she was diagnosed with Rheumatic Heart Disease and was told her basketball dreams would change forever. Read Jada's full story here. The Geneva Lakes Family YMCA is pleased to introduce Kerri and share her "Y" Story: Finding Inspiration. Kerri's life changed forever when she suffered from a brain aneurysm. She knew her road to recovery was going to be long, but was inspired through her faith, family and doctors to have hope. Kerri has been able to tackle each new day and its challenges with the help of the YMCA. Kerri said, "The Y offers hope and encouragement." Read Kerri's full story here. Nolynn, 7, is one of the many children that benefit through the YMCA's Financial Assistance program. 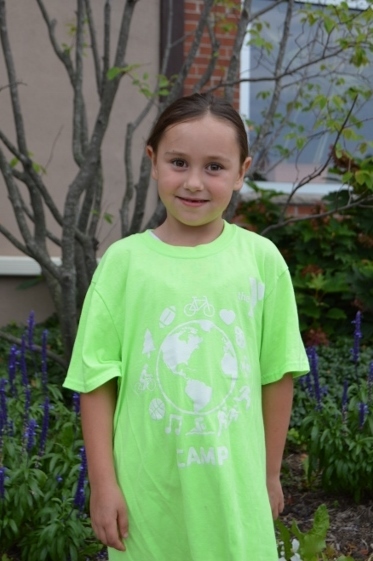 Nolynn has been able to participate in Summer Day Camp and Y programs. "I love Summer Day Camp! 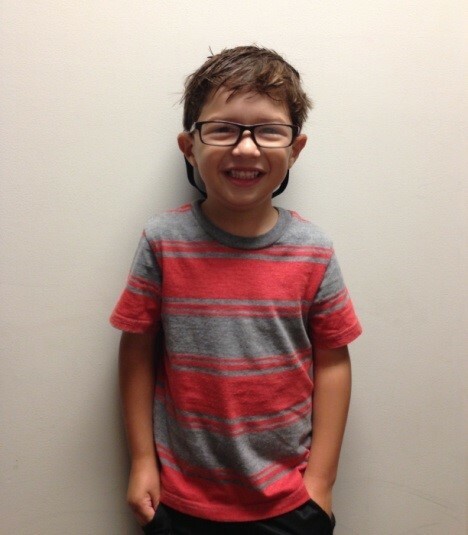 I made 26 new friends, played fun games and was able to go swimming in a warm pool," said Nolynn! The Y has allowed her to be active, build relationships and have the best summer ever! Nolynn will continue her involvement through Y Base, a before and after school enrichment program, that offers a safe and fun environment. The Geneva Lakes Family YMCA is delighted to share this inspiring poem written by Mary, one of our Rock Steady Boxing class participants. Mary was diagnosed with Parkinson's in 2009 and joined the Y to fight back in March 2017. Mary said " I credit this program for becoming physically stronger. I also enjoy being with people who are, like myself, living with Parkinson's disease." Read Mary's Inspiring Poem here. Elizabeth, is a 23 year old young women who lives with autism. At the age of 11, she found her love for swimming. Elizabeth said, "I love when I am at the Y, I am surrounded by people who motivate me to do my best! I am going for the Gold!" Read Elizabeth's full story. Did you know that the YMCA is good for the heart?! Marcia thinks so as she shares her Y story..."I want to tell you that I LOVE the Y! My MD told me I had to loose weight because the walls of my heart were thickening and I could go into congestive heart failure. With that news, I have gone to the Y for the past month during the week and have lost 7 pounds! I am also very appreciative since I receive financial assistance. Thank you to all those donors that have made this possible and have helped my heart! I will be coming to the Y for a very long time!" Gordon has been a devoted member to the Geneva Lakes Family YMCA for over 20 years. "Never Give Up," is the slogan he lives by each day. Gordon said, "The Y has really helped me strengthen my body and because of it I am full of life." Read Gordon's full story. Click here to see Gordon compete against his granddaughter! Through his determined workouts at the Y he is still able to do 20 chin ups....and being the gentleman he is is always let's her win! Christine is one of our Rock Steady Boxing class participants who is a talented artist and writes children's books and poems. 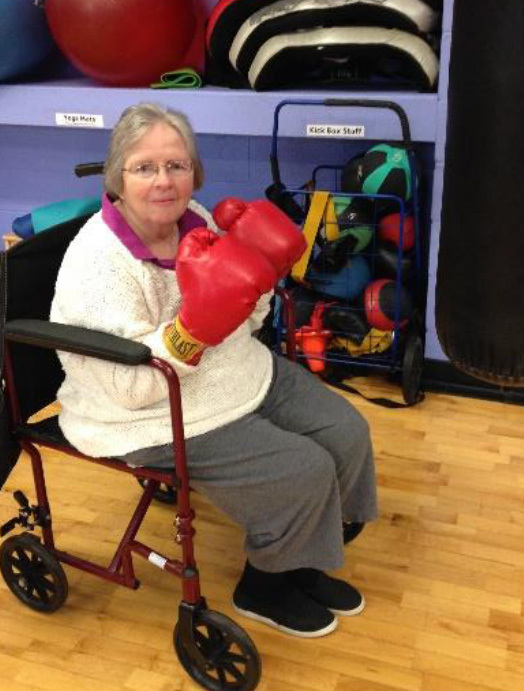 Using the YMCA's Financial Assistance income-based program, Christine joined the Y to fight back against Parkinson's. She shares her gifts with us by preparing a new poem and reads it at the end of each class. Christine said, "I am so thankful for the Y. Rock Steady Boxing has offered friendship, inspiration and exercise that has fulfilled my body and soul". See how Christine offers inspiration by reading one of her poems here. Through the YMCA's Financial Assistance income-based program, Akilah has been able to maintain a Family Membership and have her daughter participate in the Y programs. "I am so grateful for the Financial Assistance program. Nailah has learned to swim, play t-ball, tennis and conquer the rock wall! 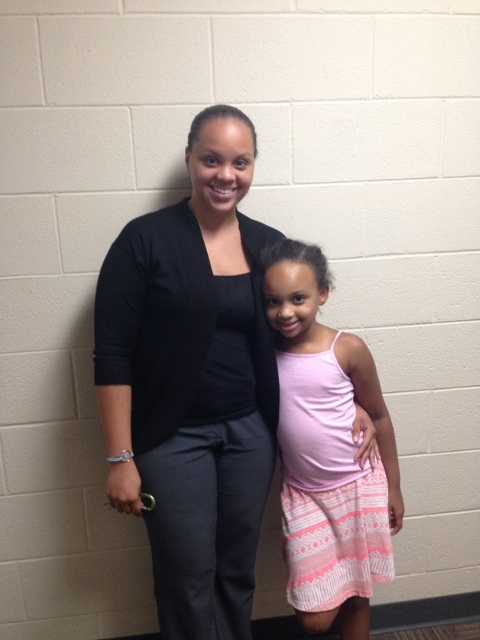 The Y has touched my daughter's life in so many ways", said Akilah! Read Akilah's full story. After an extended season of health problems, Mark came to the YMCA to make a U-turn and improve his health. To date, he has lost 100+ pounds and is enjoying good health. Read Mark's full story. When Cyndy W. joined the Geneva Lakes Family YMCA in November, 2015, she could not swim a single lap. But she was determined to fulfill her lifelong dream of learning to swim. She knew her goal was going to be challenging; however, with her determined personality and support from the Y staff, she was ready to dive in make that dream a reality. Read Cyndy's full story. 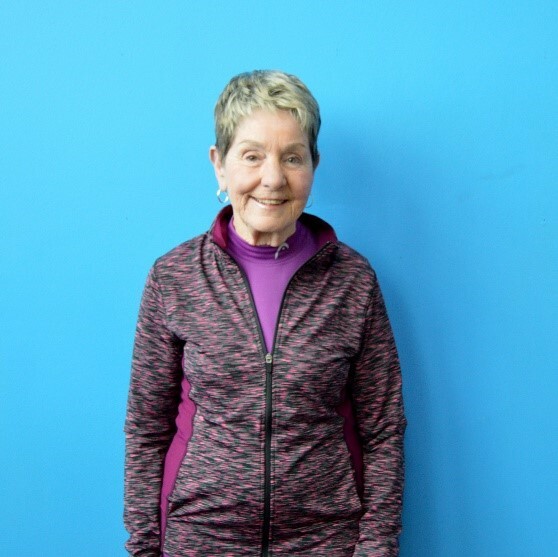 A self-proclaimed "gym rat," Judy recently joined the Geneva Lakes Family YMCA and found SO MUCH MORE than just another Lake Geneva gym. She discovered friendship, inspiration and the motivation to stay fit and active. Read Judy's story. The Geneva Lakes Family YMCA Dream Team, a baseball league for children with special needs, gives many area kids the opportunity play in an organized baseball program each summer. Learn more about this home run of a program. Following a heart-breaking miscarriage, Diamond slipped into a deep depression and experienced extreme weight gain. She turned to the Y for support. Using the YMCA financial assistance program, Diamond and her family joined the Y, and she got involved in Zumba and connected with others in the Y community. 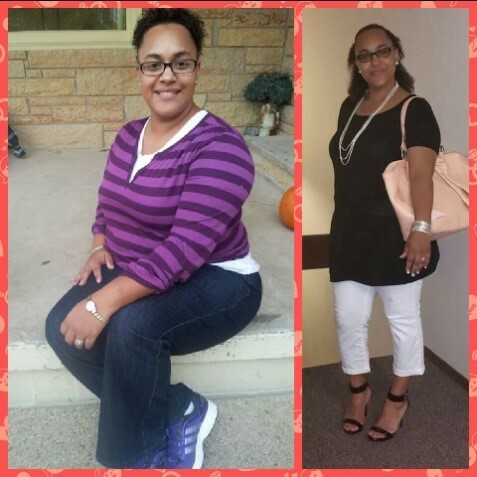 Today, Diamond’s overcome depression, is living a healthier lifestyle, gives back by volunteering, and has lost more than 65 pounds! "I am so thankful for the YMCA. I am able to live my life again, I have new goals and I can share new experiences with my family,” Diamond said. 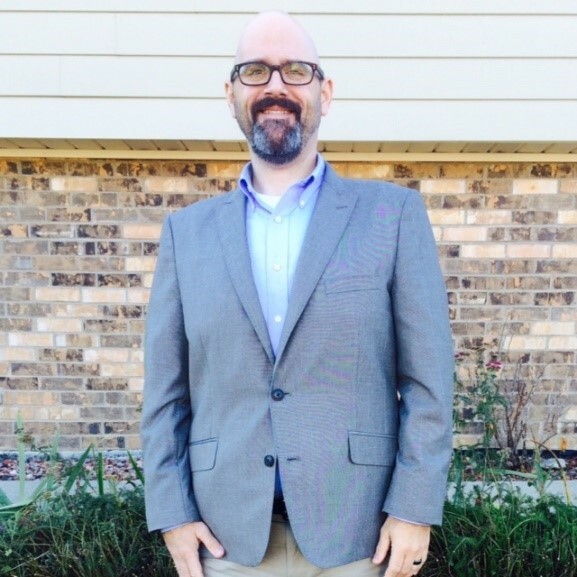 “I would not be where I am today without the Y’s financial assistance program. Thank you!” Read full story. The Y launched our new Summer Camp & School Day Out Camp programs this year. Y camps help children learn, grow and thrive in a positive, safe environment. We incorporate a daily reading program into our summer camp curriculum to help kids overcome the “summer slide,” and financial assistance is available to make camps accessible to everyone. Sammi was one of our campers last summer. Y camp helped him overcome his fear of new situations and places, and develop skills to prepare him for success in kindergarten. Thank you for supporting kids like Sammi! Read Sammi's story. Alyx, joined the YMCA in early 2016 with a goal to start a journey to better her health. At the age of eight, she developed type one diabetes and most recently as an adult was diagnosed with fibromyalgia. Alyx knew she desperately needed to make a change. "I knew I needed to take care of myself in order to take of my daughter. The YMCA made that possible for me", said Alyx. Read Alyx's story. Marilyn, a retired senior, has been making the 30-mile round trip to the YMCA and back home for over 20 years! 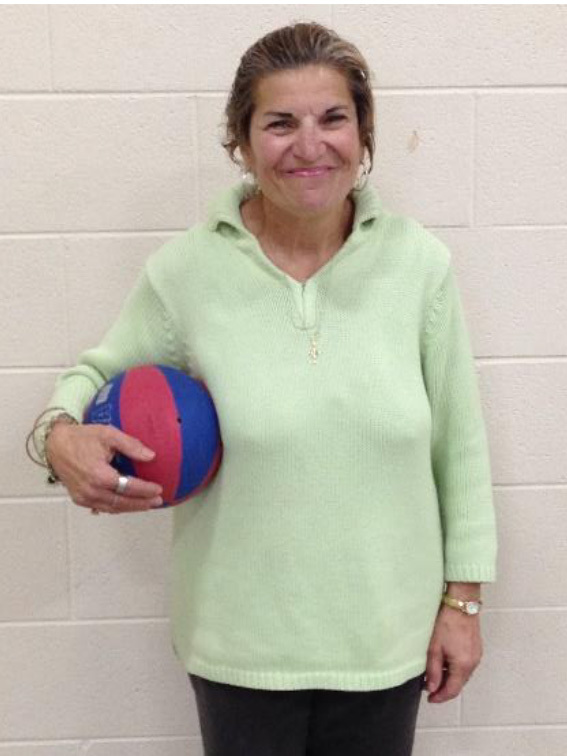 "Maintaining a healthy mind, body and spirit are a priority for me," Marilyn said, "And the Y helps me do that". Marilyn is very thankful for the financial support she receives at the Y and the relationships she has made. Marilyn said, "If it wasn't for the Financial Assistance program, I wouldn't be able to be a member and continue make more Y memories!" Learn more about Marilyn's Y memories. SPLASH is the YMCA’s drowning prevention and water safety initiative that the Y offers as a FREE community service to all area 2nd graders through their schools. This program recently touched the lives of two area brothers who lost their mom to a terminal illness. Not only did the boys learn life-saving swimming skills, but their time in the water with peers and encouraging instructors got them to smile and laugh again. Your donations made this possible. Thank you. Read the full story. "In the medical field, there is a term called TNTC (too numerous to count). At the Y, the member, participant, volunteer, staff and/or program blessings are TNTC. Some people refer to the Y as a “gym.” I think it’s far more than that – it’s mainly people, and here’s an example of why. Her name is Megan. Megan has a functional disability, and she looks at the YMCA pool as her friend. When she comes to the Y her smile is huge and her delight is apparent. The YMCA is a godsend to her. It represents an opportunity for her to find a better quality of living and improve her day. The Y staff always welcomes her joyfully and encourages her to continue. Megan looks forward to these greetings; you can tell by her delighted squeals. Not everyone squeals when they come to the Y, but people are happy when they’re here. I’ve found the Y to be a place for healing, improvement and friendship. It’s a place for families to enjoy their commonalities and for parents to show their children they care about them through activities in which they are encouraged to participate and engage in a lifestyle that exemplifies healthy responsibilities. The YMCA is a team place in all of its aspects, and that feeling radiates throughout the innards of the bricks and mortar that hold it together. I doubt any particular person feels this more than Megan. She makes my heart smile." "One of my students, a 60-year-old gentleman came to the YMCA for guitar lessons. He wanted to play a specific song for his aging mother. This gentleman has gone from a beginner to verging on an advanced guitarist. He plays for his wife, mothers and grandchildren. It’s been incredible to see how guitar lessons have helped bridge generations and reinforced the family relationship." "When I first moved to Lake Geneva, I wanted to start getting myself and my kids involved, so I came to the Y. I started exercising and brought my kids to the totspot. The ladies there made my kids feel so welcome and helped me get involved in exercise classes. I have met so many new people, my kids have made great friends, and we feel as though we are a real part of this community." "The YMCA Dream Team baseball team, a program for children with disabilities, is very inspiring. By watching the coaches, volunteers, parents and players of this program, all you see is joy. In today’s competitive sports environment, it’s so refreshing to see the appreciation of just playing the game, to hear only positive encouragement on every swing, hit, catch and crossing of the base. Day in and day out I see how the Y touches people’s lives, whether it’s a subtle or obvious. Our YMCA staff work every day to promote positive change for everyone. We take on challenges that we know will shape our community. Fortunately, where some see obstacles, the Y sees opportunities for members, volunteers, staff and generous donors. In working alongside the city, schools, churches and other organizations, we are confident in how powerful our impact can be and realize that we are all better together." "I started coming to the Y 12 years ago, and I love the Lake Geneva Y! When I come here, I feel welcome and recognized. Everyone is so friendly, encouraging and inspiring. That helps me keep pushing myself and I want to get more involved. I’m thankful for the awesome pool and my workout and swimming partners I’ve met at the Y. I’m seeing results as a better me!" "I want to leave a quick note to recognize one of your awesome employees. It’s your janitor Don. He takes his job of keeping the Y clean seriously. A clean building is always nice (and the Y is really clean! ), but what really inspires me about him is the love and concern he shows for people. He takes the extra time to look up from his cleaning to give people a great smile or a big “welcome to the Y.” He gets to know people, finds out what’s important to them. He remembers people’s names and even offers to pray for them. To me, Don is a living example of the “C” in YMCA. He makes the Y feel like a family – a place where you’re welcome and cared about." "My boys have been a part of the YMCA Kenpo Karate program many years. They are both black belts now, and there were times when it was hard for them and they wanted to quit. They didn’t understand the value of the program, but I did. It’s more than just punching and kicking. It’s a program that builds character and teaches you that failure is a part of success. It teaches you to work hard, challenge your mind and body, and most importantly, it teaches modesty, integrity, self-control, discipline and a spirit that will not give up. I could stop here, but it wouldn’t do this program the justice it deserves. So, I suppose I should start at the beginning. I will confess that Karate at the Y was my idea. It was mostly about self-defense for my two boys, but also about discipline and self-confidence. I want those characteristics in my sons. I want my boys to be good men, but I don’t believe that learning to fight is how it happens. What is most important to me is that my boys learn how not to fight. I found that the YMCA Kenpo Karate class teaches those ideas. It’s all about self-defense. Not only do they focus on protecting the body, but they focus on the mind and the spirit. There are so many children that are lost before they’ve even had a chance to discover the best in themselves. The Y Karate program was my attempt to guide my boys to a path that would lead them into a confident future. I can still remember those first classes. My oldest boy was horribly unbalanced and his crescent kicks made him tumble to the floor like a giant pretzel. My youngest son was so busy looking around and daydreaming that he was steps behind the others and bumping into his brother. It was humorous, and I laughed as a mother would (on the inside). What I could see in my boys was frustration and embarrassment. It was difficult to watch silently, but that was important. I had to give these boys over to a teacher, a stranger, who was vital to trust. That trust came in clusters. It came in handshakes and smirks. It came in ups and downs and flag holding. It came from moments when I expected it the very least, but it came. In the first few years Karate, my boys had earned new ranks. They had color to their belts but still Karate was a chore, and many times I had to “drag” them to class. Then things changed. My boys went through a time when they had many struggles outside the home. Growing up today is tough, and as much as you train to protect your body, when the time comes, defending yourself is still a choice that can involve inflicting harm. It was in the middle of a confrontation like this that the core of YMCA Kenpo Karate took on real meaning. For years, I listened to my boys recite the PEACE acronym – as loud as they could yell it in class. And I felt that only a whisper entered their heart and head. I guess that sometimes planting a seed is just enough because it took root and blossomed in them both. My sons, in the face of taunts and harassment, stood strong. With positive attitudes they expressed their disappointment in their peers; in a world where children work very hard to be like everyone else, my two sons had enough confidence to say no. It’s been years since we first met Coach Ken Hansen, Jeff Hansen and Rob Pfeiffer. I have come to respect them and their passion for the martial arts. They aren’t just teaching; they’re giving valuable knowledge to every student and family member in their class. My sons became young men right before my eyes. I know that over the years I have made many choices for my sons. I have purchased many things, some that they wanted and some that were necessary. I can look at the abandoned books on the shelf, wrinkled t-shirts in the hamper and the broken handle on the scooter in the garage. Out of all of these things, none will follow them beyond the next few years, but I know that Karate will. I can see the lessons of discipline when the towel makes it to the hook in the bathroom. I can see the attitude of perseverance when my son continues to train, with a proud smile. These are segues, rights of passage that might go unseen, but not for me. I happened to notice because I was waiting. I knew that one day the world would come to take the child out of my boys. I happened to stop and recognize why my sons turned away from fighting, with self-control, and stand up when they recognized something was wrong. We are a YMCA Kenpo Karate family, tested in the battles of life, and we are stronger for every moment of it." "I am grateful for the YMCA’s swimming pool and the Master’s Swim Team program. It’s pretty neat that our team consists of all different levels of ability, but we find a way (with the help of Coach Amber) to practice and learn together. I also think the Y’s a great place for moms and dads with young children to meet other families with similar interests and experiences." "I love bringing my kid to the YMCA. It’s a great place to spend free time together. You’re treated like family here, and I have grown many relationships at the Y and my kids have too." "I’m enjoying seeing my children gain exposure and skill in various sporting events in an encouraging environment. The Y is such a friendly community and a comfortable place to feel at home. Thanks." "I am thankful for the Y for so many reasons. I love that the Y offers totspot, which allows parents to bring their children into a safe environment while they workout at an affordable price. 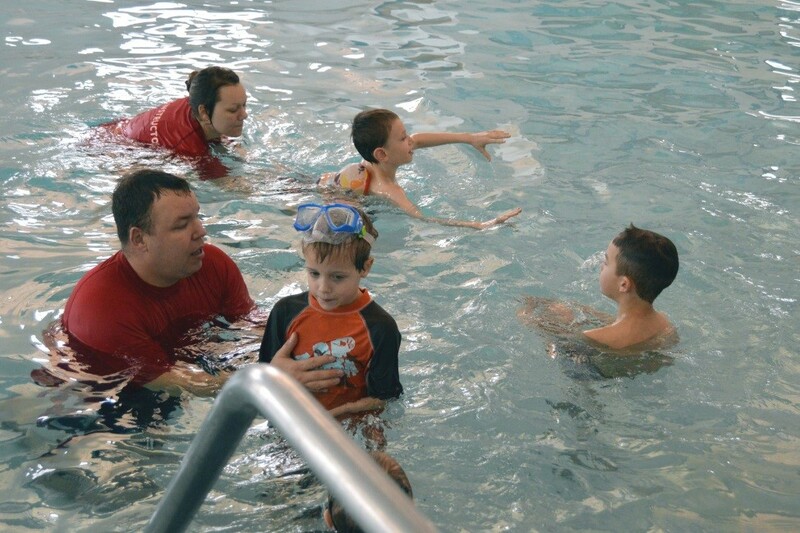 I also feel it’s so important for kids to learn to swim for their safety, and the Y teaches children very well." 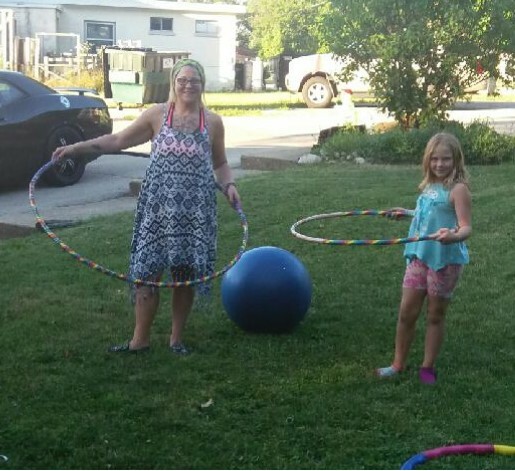 "I joined the Y in 2008 because I wanted to get more involved and active with my children. I’m now involved in yoga, and it is very relaxing and stress relieving. It really helps strengthen both mind and body. Everyone at the Y is so friendly and helpful, and my time at the Y is the best mental “anti-depressant” or emotional uplift you could want. Thanks!" "As a retiree, I need a full range of fitness activities and movements. The Y staff is so caring and the classes are great. They help my balance, the teaching is so eloquent, and there’s always the encouragement I need – the “go, go, go” and the “work, work, work, You can do it!” The Y offers so many benefits and resources you’d never find anywhere else. If you thought that you couldn’t do something, come to the Y! You will be surprised what a healthier life you will live. I love it!" "The Y’s Master’s Swim Team is awesome! But here’s the thing… it’s not just a team, it’s a family. They support each other in and out of the pool. Through touch workouts and tough times in life. Any one of us can swim alone, but the unity, community and pride in each other’s success that this team and our coach demonstrate is what makes the difference." "The people at the Y are so very nice and always encourage you to do better. The staff always tries to help you with something, especially Norma. She’s always helpful and nice. Thanks!" . "I love working out at the Y. It’s clean and people are polite. It’s a very family friendly and encouraging place. Thanks!" "I first came to Y because I needed to get more exercise. I keep coming to the Y because of all the friendly people here." "At the Y, all the people are really friendly and are eager to help you out. Thanks!" "I want to thank your front desk person Norma. I’m always amazed at how welcoming she is and how willing she is to talk to us. Norma represents all of the staff members and how nice, friendly and ready-to-help they are. Thanks!" "I want to thank your lifeguard Constance. She knows and greets each swimmer by name. She is so friendly and works so hard at keeping the pool clean. The Y is lucky to have her as a staff member. My lap swimming is the most important thing I do all day. I feel so great after swimming laps for 40 minutes and am ready to start my day. It is a Very Big Plus in my life. Thanks YMCA! Also a thanks to David who is behind the desk at 5:45 a.m. and always has a smile and a friendly greeting." "My son just finished his first season of T-ball, and it was great! I’m excited to see where his involvement will take him. I also want to thank you for offering such a caring environment. The Y is like an extended family to us – it’s a place to relax and work on you." -Rachel H.
"As a stay-at-home mom, I had never left my two-year-old child with anyone outside of close family members. But, it has been amazing to see how much my child’s face lights up when he sees the staff in the totspot. I love that my child looks forward to coming to the Y. Thanks! " -Ashley K.